Sumptuous earth tones for the season. 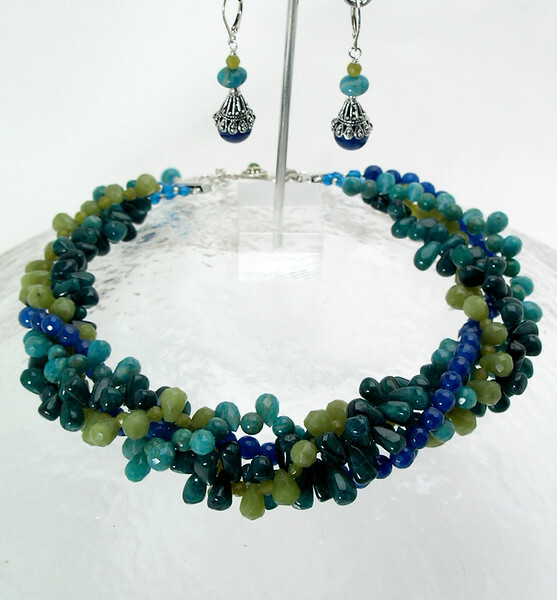 Russian amazonite, sealed color-treated jade and crystal. Peridot and sterling silver hook clasp with 4" extender chain.